This is my fingerstyle guitar cover of "My Way", famous sweet piece sung by Frank Sinatra. 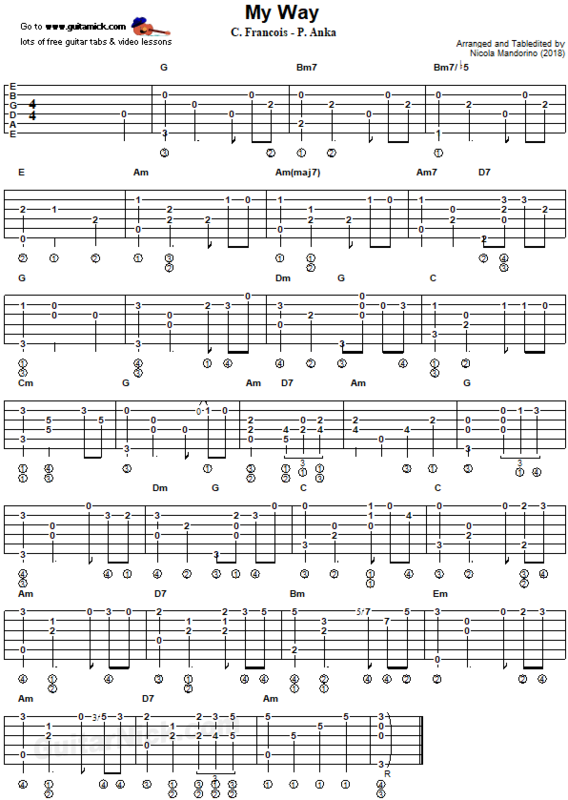 In this guitar lesson you find guitar tab and my video tutorial. - Arrangement: I enjoyed a lot to arrange the song on the guitar: I created this sweet version with a few notes, free rhythm and good chord voicings.